voting rights and school desegregation. 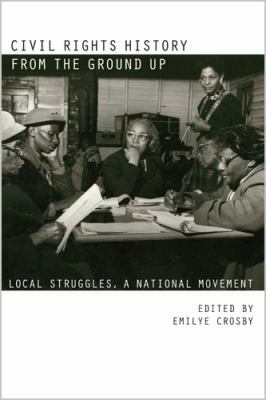 Events and incidents discussed range from the movement's heyday to the present and include the Poor People's Campaign mule train to Washington, D.C., the popular response to the deaths of Rosa Parks and Coretta Scott King, and political cartoons addressing Barack Obama's presidential campaign. The kinds of scholarship represented here-which draw on oral history and activist insights (along with traditional sources) and which bring the specificity of time and place into dialogue with broad themes and a national context-are crucial as we continue to foster scholarly debates, evaluate newer conceptual frameworks, and replace the superficial narrative that persists in the popular imagination. Emilye Crosby is professor of history at the State University of New York-Geneseo.